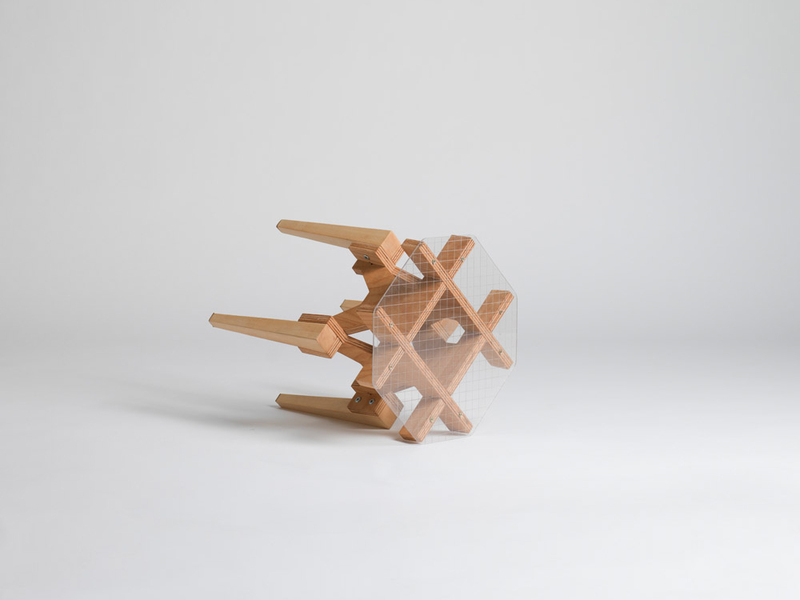 The Lese stool / table is built on the principle of the interlocking puzzle systems. The shape is minimalistic, without unnecessary elements which makes it memorable and distinctive. 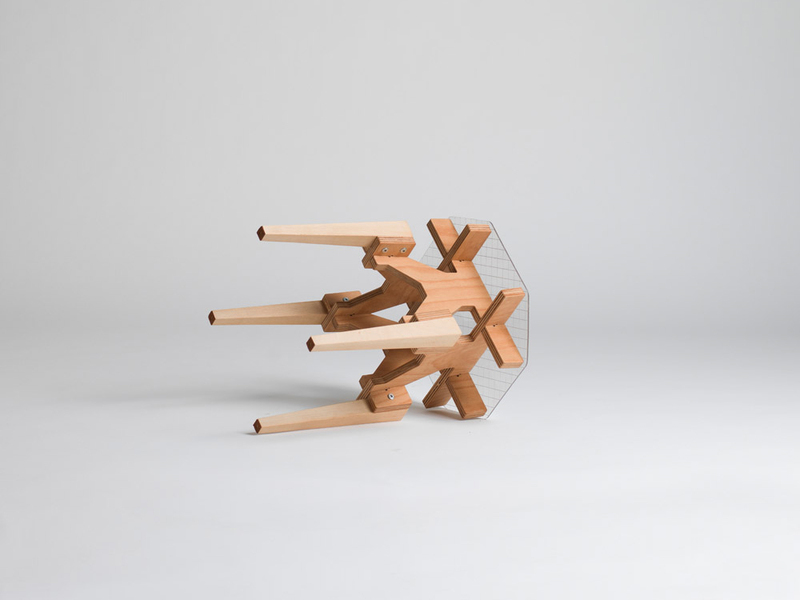 The height of the flat board transforms the stool easily into a side table. 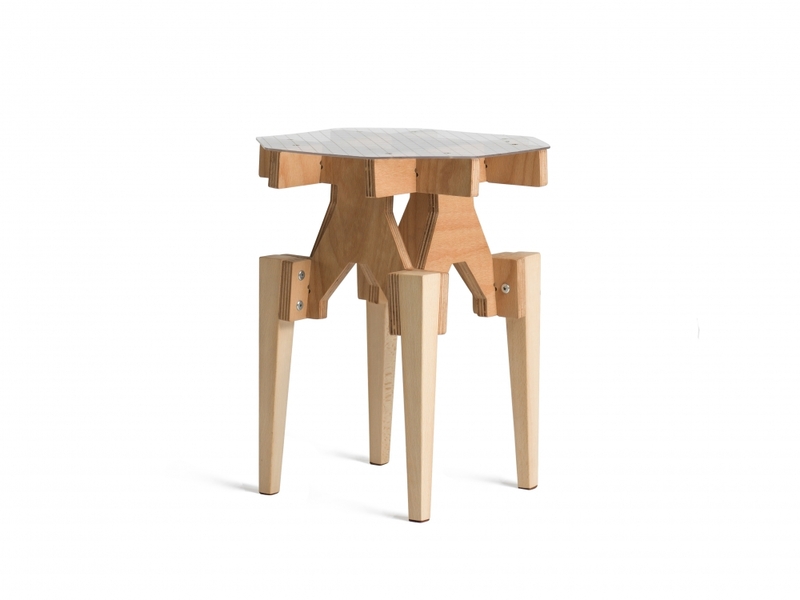 The hardwood beech legs provide strength but also redirect to the classic furniture. The seat is produced from transparent, extremely strong polycarbonate, which allow the beauty of the construction to remain visible.